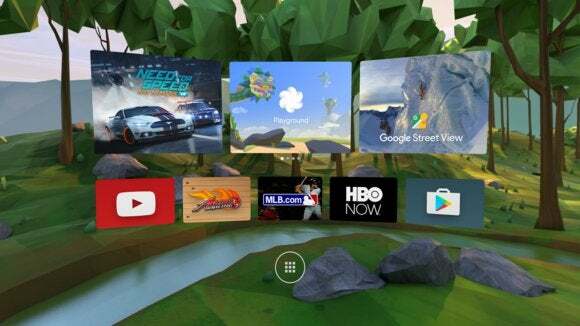 Google's going big into VR this year with Daydream, but it's not a single device. It's a spec, it's a controller, it's a standard. Google is a big believer in virtual reality. It tried to get VR in front of as many people as possible with Cardboard, its spec for ultra low-cost headsets that use your phone to provide a pseudo-VR experience. This fall, with the release of Android N, Google will bring us Daydream. That’s the name for it’s VR initiative, and it’s a little complicated. Daydream is not just a VR headset made by Google. It’s not just an app. It’s an entire ecosystem that includes hardware specs, a new interface, a controller, and developer tools. Here’s what Daydream is, and what it’s not. If you’re expecting Google to make a competitor to the Oculus Rift or HTC Vive, you’re going to be disappointed. 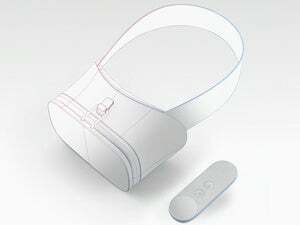 Daydream is powered by your phone, like GearVR or Cardboard, and there will be multiple headsets made by Google and its partners. Expect Daydream stuff from Huawei, HTC, Samsung, LG, etc. 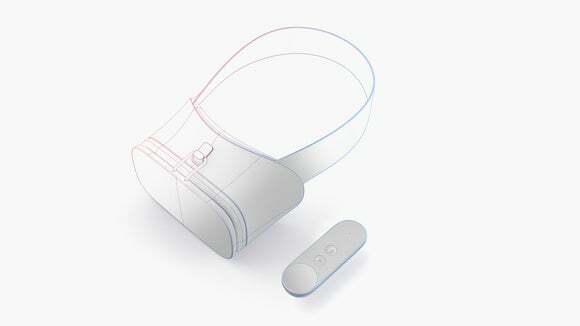 Not all phones will be Daydream compatible. Future phones (available starting this fall) will be considered Daydream-ready if they meet certain requirements: a high-power SoC that can provide a quality experience at 60 frames per second, a low-persistence display (read: OLED only), low-latency, and high-quality sensors are all required for certification. The goal is to ensure that every “Daydream-ready” phone can deliver motion-to-photon latency of 20ms or less, and that developers making VR experiences know exactly how much horsepower they have to work with. There’s no one Daydream headset. Google will make one, but release specs for its partners to make their own. Many people have argued that VR displays have to update at a minimum of 90 frames per second in order to minimize motion sickness. Some call for even higher refresh rates. The spec for Daydream is 60 frames per second. One big difference between Oculus Rift or Vive and Daydream? The former run at 90fps, the latter only 60fps. Is that a nonstarter? Not necessarily. GearVR is 60 frames per second and works rather well, in the right experiences. Ensuring a steady 60fps and very low motion-to-photon latency is going to be critical, however. Daydream is baked into Android N. The Daydream home screen (which looks a lot like Oculus' home or GearVR’s home) is built right in on all Daydream-compatible phones. All the APIs, the low-latency and low-persistence VR Mode, the head-tracking algorithms, the developer tools...it’s all in Android N, rather than an app you download (like Cardboard). So don’t expect any Daydream stuff for general consumers until Android N rolls out this fall. And you can forget about it working on iPhone, like Cardboard does. Google has a special custom VR controller. It can sense its motion and orientation, it has a clickable touchpad, and sports two buttons—one to be used by apps, and one reserved by Google for system functions (like returning you to the Daydream Home environment). The Daydream controller (right) looks a lot like the Oculus controller (left), only it can sense its orientation and movement. Google says using Daydream will require the presence of this Apple-TV-remote-looking controller. If you don’t have one, you can’t enter VR. The goal is simple: Give users a simple means of interacting with the VR world, and give developers a controller spec they know they can rely on. Will any of today’s phones be declared “Daydream ready” with an update to Android N? Probably not. We’ve seen and heard no indication that any current phone will fit the bill, but rather that several Daydream-ready phones will hit the market this fall. Put on a headset with a Daydream-compatible phone in it, and you’re standing in a cartoonish forest with giant floating content windows. That’s Daydream Home, where you’ll launch apps and VR video and get promotions for new content. Browse Google Play’s custom VR store. Check out some videos using the custom VR YouTube interface. This is the Play Store in VR. Browse, buy, download, all without removing your headset. 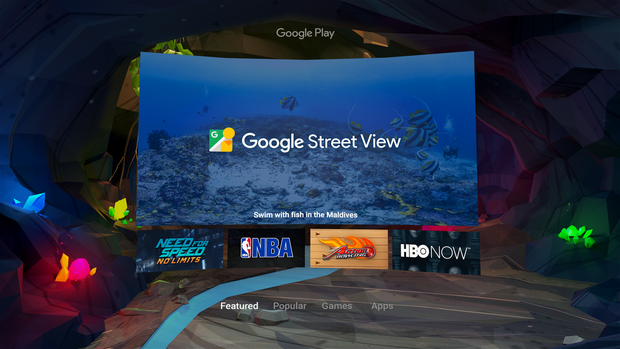 And if you don’t have your headset around, you can browse content on a flat Daydream mobile app, so you can download stuff on the go and have it ready when you get back to your headset. Just because you’re using your phone in a VR headset doesn’t mean it stops being your phone. Google has ported some parts of the system UI into VR. So if you get a call or a text, it’s rendered into the VR world and you can respond. Though it wasn’t explicitly mentioned, I have a feeling that all “high-priority” notifications will show up. But wouldn’t it be cool if you could converse with the Google Assistant in VR? The Daydream-ready spec for phones is going to be high-end. The controller and headset will cost extra. The platform is built into Android N. That leaves out hundreds of millions of Android phones! Cardboard delivers a far worse experience, and one could even make the argument that it’s not capable of delivering the sense of “presence” required for true VR. But it works with nearly any recent phone (including iPhones). And you can get Cardboard headsets for less than $20. Hell, they’re sometimes given away free. Besides, Google has a serious problem letting go of anything. Expect Cardboard to stick around for at least a couple more years.